Rehearsals are one Tuesday nights, St Brides Centre, 7pm. Come and join in the music! Click here for more information on our upcoming concerts and to buy tickets online! Welcome to the Edinburgh Concert Band! 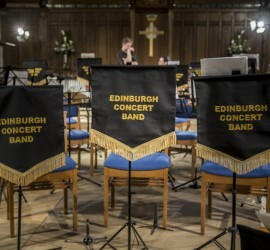 The Edinburgh Concert Band is a community group of amateur musicians. 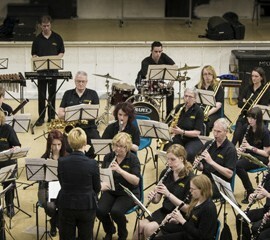 So if you are a woodwind, brass or percussion player – why not come along and join us? If you don’t play, but enjoy good music, come along to our concerts!